"To and Wai manage to cram multiple genres into Running on Karma... 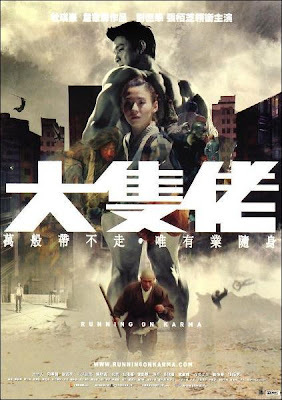 While this approach is nothing new to Hong Kong cinema, what is quite different with this film is how everything combines into a strong narrative, even as the film shifts from genre to genre and flashback to flashback, the spine of the film holds firm." Great film! HK cinema seems to be able to mix disparate genres and styles in the same film better than most. Not always successfully, mind, but you do have to admire their spirit. 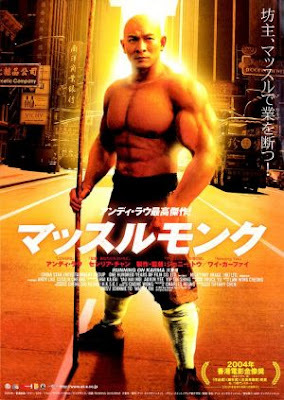 Yes, I didn't mean this was the only HK movie to achieve this, as in anything there are always exceptions! With Peking Opera Blues certainly being up as one of the best of them. I love how your comments keep me honest, I do occasionally get carried away. Thanks for taking the time. 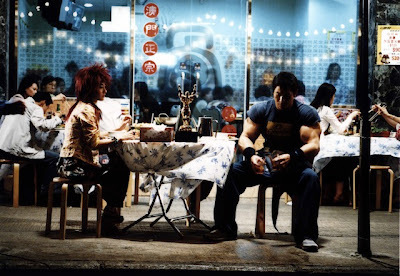 Rich, yep great film, and yes that's one of the most rewarding things about loving HK cinema. I remember reading about this one some time back, but completely forgot about it. But I had no idea it was such a huge mash up of different genres. I will definitely have to make it a point to check this one out in the near future. Great review! I've never seen this and avoided reading your review, although I get the impression you like it. It's a favourite of the guy I know who works for Milkyway. Any how, the DVD is on my shelf an I'm planning on watching it then adding it to the blog. I'll agree with almost everything else you said about it too. A very interesting movie. Glad you enjoyed it Dan, it's probably even better on a 2nd viewing. Any reason why you held off on watching it for so long? I've loved your posts on the film, lots of pics to take next visit! Dan, I understand re. the large to watch pile, I really do!